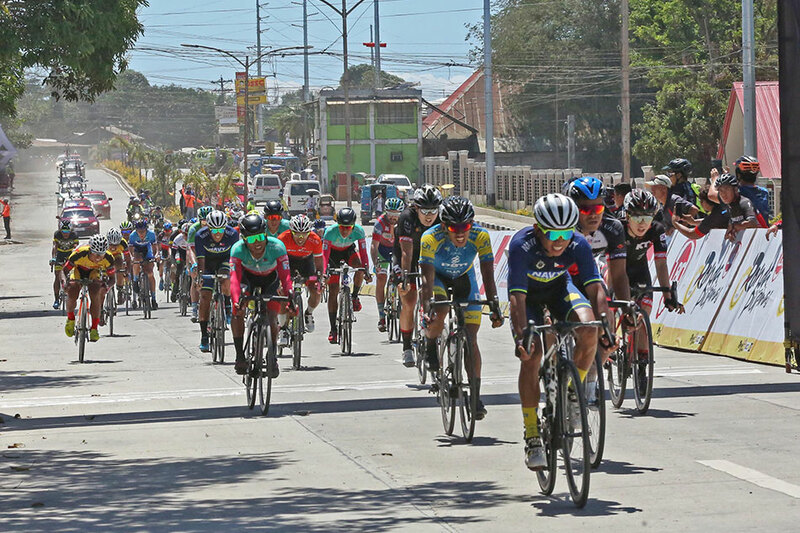 MANILA, Philippines -- Two-time champion Jan Paul Morales of Navy-Standard Insurance showed his class as one of the country's top sprinters, as he ruled Stage 3 of the 2019 LBC Ronda Pilipinas that started in Iloilo and ended at the Roxas City Hall on Sunday. Morales, who reigned as Ronda king in 2016 and 2017, needed a big push in the final 500-meters to take the 179.4-kilometer lap in four hours, 35 minutes and 18 seconds. 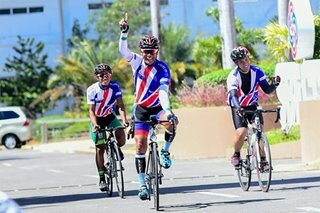 He edged Dominic Perez of 7Eleven Cliqq-Air21 by Roadbike Philippines and Indonesian Projo Waseso Nex Cycling Team, who finished second and third clocking the same time. The triumph was made extra special as Morales outsprinted two-time Southeast Asian Games gold medalist Mohd Harriff Saleh, a Malaysia who rides for powerhouse Terengganu Inc. TSG Cycling Team. "I'm so happy because this is the first time I won a stage in a UCI race and I beat my idol (Saleh)," said Morales, whose closest brush to victory before this breakthrough was in 2011, when he finished second to an Australian rider in one of the stages of the Le Tour de Filipinas. It was the second time that a Filipino topped a stage here after Marcelo Felipe of 7Eleven bested 2018 Le Tour titlist El Joshua Carino of Navy-Standard to snare the Stage 2 win the day before in Guimaras. Tour de France veteran Francisco Mancebo Perez of Matrix Powertag Japan emerged the Stage 1 winner. Despite his feat, Morales failed to make a dent in the individual and team general classification as the 42-year-old Mancebo and his Matrix Powertag Japan team continued to lead both divisions by a mile. Mancebo, whose best finish in the Tour de France came in 2005 when he placed fourth, rode intelligently and successfully defended the lead, as he checked in at ninth in the stage in that frantic finish Morales won. Mancebo’s Matrix squad kept its stranglehold on the overall team lead with a total clocking of 37:20:07 ahead of 7Eleven (3:31) and Navy-Standard (8:30). Mancebo will continue to wear the symbolic leader’s LBC red jersey in Monday’s 146.9-km Stage Four that will start and end at El Pueblo here.